Definitive Technology has remained the brainchild of founder Sandy Gross for 20 years now, and the US speaker company has a long and distinguished record of innovation. Each of the small ProMonitor models, for example, has a passive radiator that fires through its top panel to extend the bass response. Another recent example is the Mythos STS, with its built-in, racetrack-shaped subwoofer in a superslim cabinet, and which earned the SoundStage! Network Aesthetics & Sound Award in 2008. Gross recently retired from Definitive Technology, and VP Paul DiComo has taken over the product-development reins. 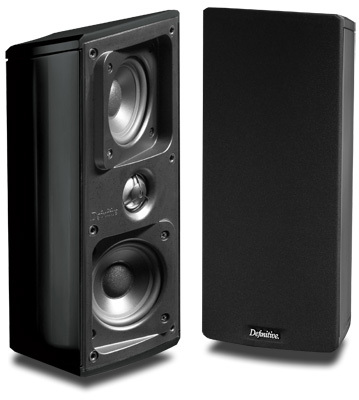 DiComo has a long history with successful speaker companies, having come to DefTech from Polk Audio several years before. The Mythos XTR-50 is the first Definitive speaker whose development he has entirely overseen, from vision to final product. I was excited to hear if the sound quality of this ultrathin speaker matched its state-of-the-art looks. The Mythos XTR-50 ($699 USD each) measures 27"H x 6"W x 1.5"D and weighs 5.1 pounds. When I first saw the speaker, I was struck by its flatness -- in person, with its tapered sides, it looks even thinner than 1.5"; my impression was of the blade of a machete. It felt all of a piece, as if machined from a solid piece of aluminum, with no looseness or rattling. The rear panel is nearly flat, with indents for mounting the speaker directly on the wall, or with the included mounting bracket. The smooth, high-gloss finish will easily match the finish of most flat-panel TVs. The unusual design of the binding posts is perhaps my only complaint about the XTR-50’s user friendliness, though it’s clear that some sort of compromise is necessary in so flat a speaker -- conventional binding posts would be too big, and force the speaker away from the wall. You must first thread bare wire (14 gauge maximum) into a green connector, then snap the connector into the back of the speaker. Make sure you push the connector all the way in, or the speaker won’t work. Included are stands for vertically or horizontally mounting the XTR-50 on a table. The vertical stand is a thing of beauty, cosmetically matching the speaker’s shiny gloss appearance. Although the stands are plastic, with a glass bottom, they bolt easily to the speaker to give a one-piece look. For an even cleaner appearance, you can feed speaker wire through the legs of the stand to the binding posts. The wire channel, however, is small; it won’t accept wire larger than 16 gauge. The horizontal mount, for center-channel duty, is simple: Two feet screw into the XTR-50’s rear panel. This lets the speaker’s weight rest on the feet and the speaker’s bottom edge. The XTR-50’s tilt can be adjusted by screwing the feet in and out. Looking at the Mythos XTR-50, it wasn’t obvious that its grille could be removed until Paul DiComo pointed it out to me. (It’s held in place with magnets.) Centrally placed is a 1" aluminum-dome tweeter that’s voiced similarly to those in the other speakers in DefTech’s Mythos line. It’s built slightly differently, though, because of the XTR-50’s thinness. The two 3.5" mid/bass drivers are all new for the Mythos XTR-50. 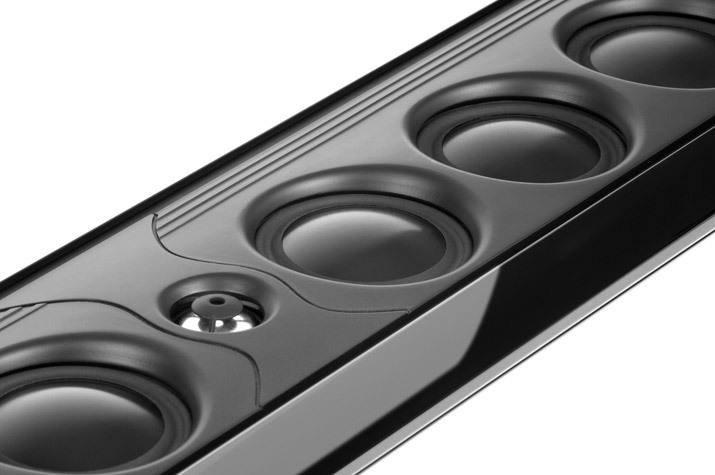 Because of the design constraints of a thin speaker, conventional woofers wouldn’t work -- a high-power-handling voice-coil can easily be longer than the XTR-50’s 1.5" depth. Instead, Definitive Technology’s design team has coupled the voice-coil to the enclosure, so that heat can be dissipated without requiring the space-gobbling heatsink of a conventional voice-coil. Most designers extend a small speaker’s bass response with a port. With the slender Mythos XTR-50, however, a conventional port would be too small, and would result in audible chuffing. Instead, the bass response is extended using four 3.5" passive radiators. As their name implies, these aren’t directly driven by an amplifier, but move in and out in response to the pressure created in the cabinet by the two amplified drivers. The result, according to DefTech, is decent bass response down to 92Hz -- unimpressive for a conventional speaker, but remarkable for one so thin, and one that, anyway, is designed to be used with a subwoofer. Compared to the Mythos XTR-50, the Mythos Gem on-wall surround speaker ($279 each) looks like a conventional bookshelf model. Enthusiasts of thin speakers will be put off by the fact that it’s a disgusting 4.25" deep. But since the Mythos Gem won’t normally flank a flat-panel TV, the depth should be fine in most rooms. The design is unconventional. The front-firing 1" tweeter is normal enough, but the two forward-firing 3.5" mid/bass cones, one above and one below the tweeter, are respectively angled to the right and left. This effectively gives the Gem the wide dispersion of a bipolar speaker in a cabinet with a narrow front baffle. The Gem measures 10.25"H x 4.125"W x 4.25"D and weighs 4.5 pounds. In choosing a subwoofer to accompany this system, Paul DiComo ran some tests and felt that the best match would be the SuperCube II ($899). A cute little thing with a volume of only 1 cubic foot (12.5"H x 12"W x 12"D), it hides some potent hardware under its black-cloth grille: a 1250W amplifier that drives an 8" woofer, and two 8" passive radiators. The cabinet is made of 2"-thick Medite, an environmentally friendly material similar to MDF. The entire chassis is solid, hefty for its size at 42 pounds, and finished with a high-gloss top panel. The control panel on the rear has both left- and right-channel speaker-level inputs and outputs and line-level ins and outs. There are knobs for adjusting the high- and low-pass crossovers and to continuously vary the phase -- rarely seen, these controls are very useful for matching the sub with any main speaker. After taking delivery of the Mythos XTR-50 system, I was fortunate to have Paul DiComo come by my house and help with the setup. This was the first set of review speakers I’d had in the basement home theater of my new house. The room is 23’L x 16’W by 8’H, with a 92" projection screen on the long wall. My listening seat is 14’ from the screen; sitting there, DiComo detected a bass suckout. Knowing how the SuperCube II should sound in most rooms, he was unsatisfied with the bass response no matter where he put it. "Another SuperCube II will help even out the bass response," he said. "I’ll send you one." Once the second SuperCube II had arrived and been set up, the layout was as follows: front left and right Mythos XTR-50s on the wall, flanking my screen; center-channel Mythos XTR-50 below the screen, 18" above the floor; and Mythos Gem surrounds on stands near the back wall. Finding satisfying locations for the two subs took some work, but I settled on the right sidewall 4’ from the front wall and, along the front wall, 3’ to the left of the left front speaker. The sub crossovers were set for 100Hz in my receiver. I first tried the Mythos XTR-50s on the supplied stands near the wall, but for best performance, wall mounting won out. Unlike freestanding speakers, the XTR-50 is designed to work with the wall, which reinforces the upper-bass response and results in greater transparency and a better blend with the output of the subwoofer(s). That’s what I heard. With the Mythos XTR-50 system set up and me settled in my listening chair, I was astonished by what I heard. Given the paper-thin depth of the XTR-50 compared to most other speakers out there, I couldn’t believe the quality and quantity of sound. This system will play loud. As a carriage drawn by galloping horses careens through the street in the opening scene of Sherlock Holmes (2009), the soundtrack of the Blu-ray edition makes good use of all five speakers and the subwoofers. This system really cooked, with a beautiful blend of the surround and front channels, and a seamless blend of the output of each satellite and the sound from the subs. The scene begins with the horses neighing in the left surround channel, which the Mythos Gem threw well to the left of the left surround speaker. The horses’ hooves and Hans Zimmer’s intense music pounded through the SuperCube IIs. Remarkably, as I turned up the volume, the XTR-50 mains kept up. I heard none of the dynamic compression or cabinet ringing that I expected, given the speakers’ thinness. Dialogue was completely understandable throughout this scene. This was coherence at its best. The high-frequency performance of the Mythos XTR-50 is similar to that of other Definitive Technology speakers I’ve heard: neutral, but slightly on the analytical side. Like the best high-end speakers, these mains were revealing enough to make lousy recordings sound as they should -- bad. The XTR-50 didn’t gloss over edgy CDs from the 1980s, but rewarded me with superb sound when the recordings were superb. One such is Patricia Barber’s Nightclub (Mobile Fidelity Sound Lab CMFSA2004), a two-channel-only SACD/CD. Listening to the bass solo in "Autumn Leaves" through the Mythos XTR-50s was riveting, with all the fine detail of the sound of each plucked string lovingly reproduced. With this same recording, the blending of the sound from the main speakers with that from the SuperCube II subwoofers was fantastic. On its own, bass through the Mythos XTR-50 was lacking; it was hard to tell, for instance, whether or not I was listening to an acoustic bass or an electric bass guitar. But that’s why you need a well-matched subwoofer. Pairing the XTR-50s with the SuperCube IIs resulted in a balanced full-range sound. If the subwoofer or the main speakers produce too much or too little energy in the transition zone where the outputs of the satellites and subs blend, the sound can be muddy. With the XTR-50s and SuperCube IIs, however, the double bass in "Autumn Leaves" was gratifyingly balanced and deep. The nimbleness of the 8" woofer in the SuperCube II gave a quality of bass that was quick and light, matching the sound of the XTR-50s. It’s one thing to get the outputs of the Mythos XTR-50 and SuperCube II to jell; it’s quite another to get slam satisfying enough for home theater. This was where the second SuperCube II made its presence known. With the second sub, I had the best of both worlds -- bass with power and definition. With the Blu-ray of 2012, the subwoofers rattled my walls and ceiling with every toppled building and falling boulder. Although two of these subs isn’t a cheap proposition at $1798, it competes with and surpasses most single subwoofers near that price in my room. As your room will be configured differently, your mileage might vary; a single $2000 subwoofer may perform as well. Although not a visual match for the Mythos XTR-50s, the diminutive Mythos Gems performed like champs with the left and right surround channels. The film Shutter Island contains a great range of scenes and atmospheres, from prison cells to stormy weather. With the Mythos XTR-50s, the Mythos Gems reproduced the enveloping surround environments of the Blu-ray edition, playing much bigger than their size would suggest. I had a couple of interesting speaker arrays on hand to compare with the Mythos XTR-50 system ($4453): Definitive Technology’s own ProCinema 1000 system ($1724) and the Angstrom Suono on-wall system ($2194). Although these are significantly cheaper than the Mythos XTR-50 system, the latter included two subwoofers; the former had only one. Neither of the other two systems could match the stunning industrial design of the Mythos XTR-50, and that’s where many shoppers will end their search. The Mythos XTR-50 matches up perfectly with flat-panel TVs, especially the latest, 1"-thin ones. The Angstrom Suono 300S is handsome, but slightly less refined looking than the Mythos. And although the Suono 300S is thin, it will look bulky next to a really slim TV. The Angstrom Suono 300S system sounded darker and less revealing than the Mythos XTR-50. This would make the Angstrom a better match for a casual system, where you’re not listening for that last ounce of detail. I listened to "S’Wonderful," from Diana Krall’s The Look of Love (SACD/CD, Verve 34 589 597-2); in comparison to the Mythos XTR-50, the strings sounded as if there were an extra layer of cloth between my ears and the speakers. However, the Angstrom system’s strength was its better bass response, which might make matching its mains to other subwoofers an easier proposition. You might even get away with no sub at all if floor space is at a premium, something that can’t be said for either Definitive system. And the Angstrom’s value for the buck is high; the Angstrom 300S main speakers cost only $399 each. I was floored by the sound of Definitive Technology’s ProMonitor 1000 bookshelf system. I hadn’t had this system set up in a while, and had forgotten how great it is. What had me in a tizzy was these affordable little speakers’ imaging prowess. Being freestanding, they can be toed in to dial in the soundstage. The imaging is so good I can "see" the bassist’s fingers moving along the strings in "Autumn Leaves," from Patricia Barber’s Nightclub. The imaging specificity wasn’t as pronounced with either the wall-mounted Angstroms or the Mythos XTR-50s. Also in-house was a single Monitor Audio RXW-12 subwoofer ($1300), which I compared with a single DefTech SuperCube II. 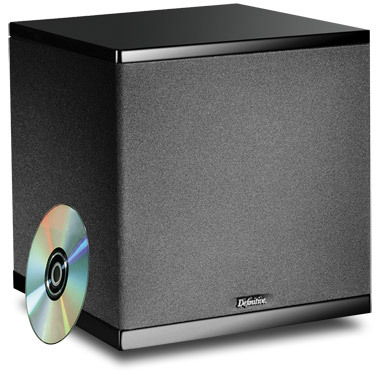 This 12" subwoofer is slightly bigger than the SuperCube II, and has a couple of EQ settings for boosting the bass for movies or for a flatter response with music. Although as tuneful as the SuperCube II with music, the RXW-12 couldn’t compete with the DefTech’s two additional passive radiators. When I watched the Blu-ray of Star Trek (2009), the SuperCube II played this dynamic soundtrack quite a bit louder throughout the film. In my extensive auditioning of Definitive Technology’s Mythos XTR-50 system, I was amazed at the dynamic capability and refined sound of these compact speakers. Each model -- mains, surrounds, and subwoofers -- blended together to provide a well-balanced soundfield that I found very involving when watching movies or listening to music. Because it is so revealing, the Definitive Mythos XTR-50 is best matched with good electronics. 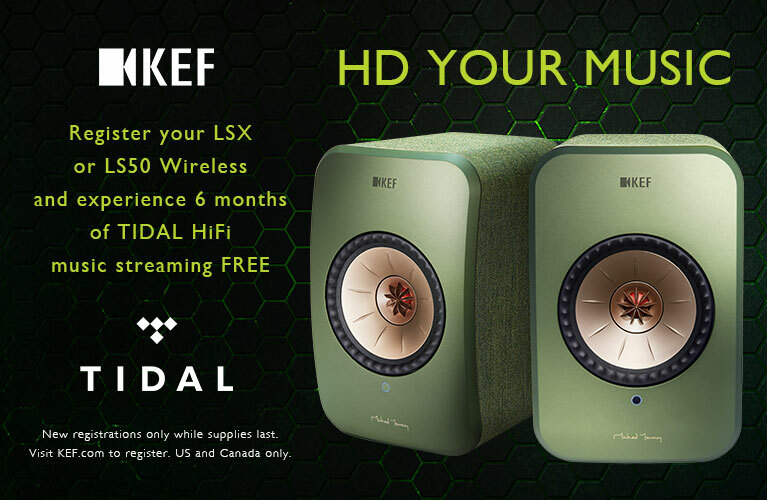 If you do, you’ll be rewarded with phenomenal sound to match these speakers’ great looks. Add it all up and you have one heck of a good surround-sound system.